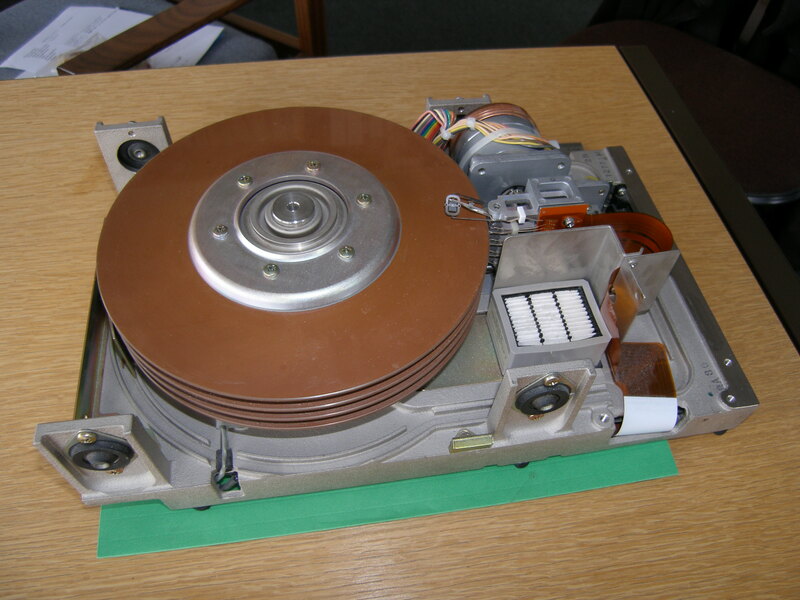 Disk Drive from Amdahl Operators Console. The Amdahl 5860 was the last mainframe at Newcastle University. 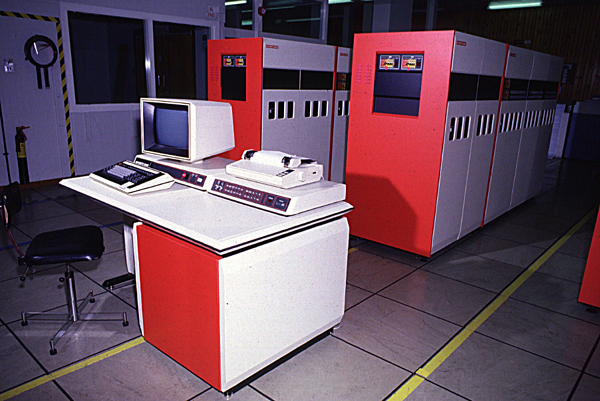 One of its components was the Operator's Console, it is in the foreground. It was a desk with electronics cabinet underneath, a keyboard, monitor, printer and panel with buttons and switches. At the console the computer could be started, stopped, configured and maintained. ... and this is it. It had four disk platters, eight recording surfaces of 198mm diameter. 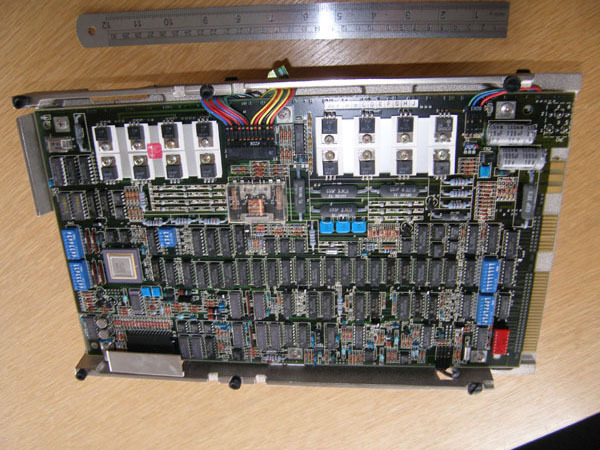 This is the printed circuit board on the underside which meant the drive and its controls were one unit. All that needed connecting was the data ribbon cable and the power cable. to get the fullsize displayed (four times my screen size), you can pan around and find almost every electronic component. VLSI chip, LSI chips, resistors, capacitors, diodes, thyristers, a reed relay, but not an inductance coil. It used a stepping motor, 244 steps, to position the heads. it was wrapped around and fixed to the motor axil at the centre and each end fixed to the head assembly. 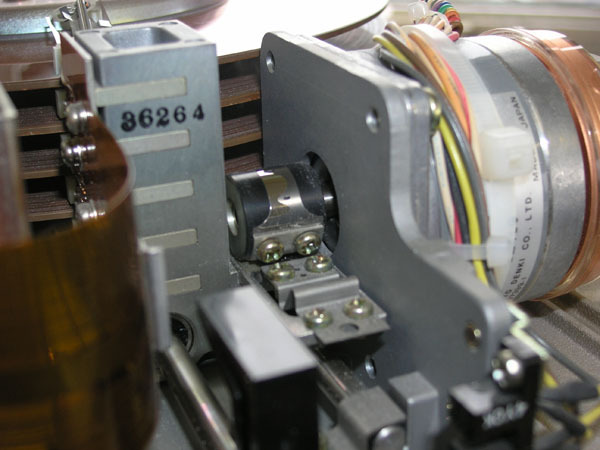 An ingeneous way of avoiding the wear and tear of a rack and pinion movement. The head assembly was constrained to move on two rods. 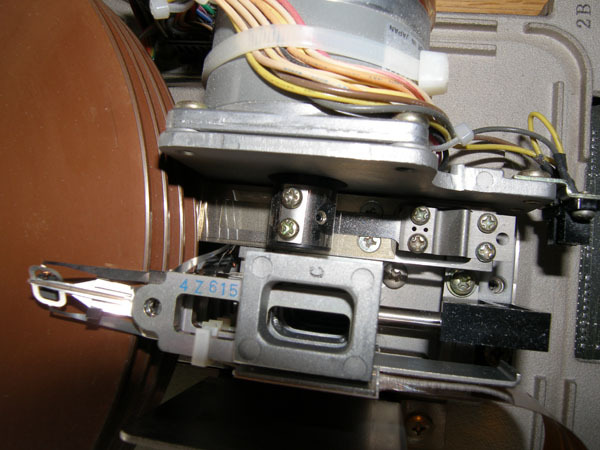 30th December 2009 - Thanks to Tom Gardner we now know this is a FUJITSU M2303BE or KE disk drive. 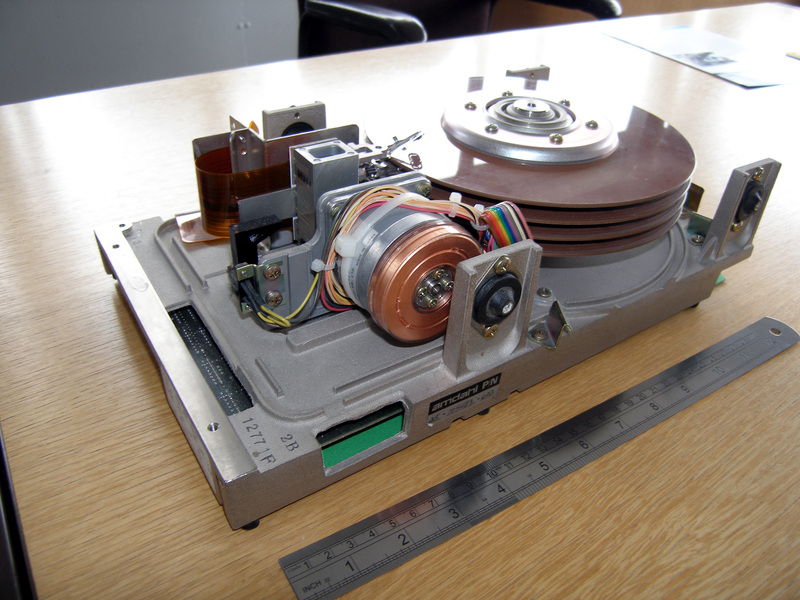 He even provided a product guide so we know a lot more about it including its capacity: 40MBytes.